Low carb, low fat, Dukan, South Beach or the diet of the moment? What is a body to do? While each approach may have something to teach us, it is clear that nothing is clear when it comes to weight loss. I believe that when scientists and diet gurus finally find the “magic diet”, it will be what we’ve known all along …the most effective way to lose weight is to eat less chemically processed foods, eat more foods provided as nature intended and of course exercise more. Which is of course why I developed the YourNewLifePlan! Let’s explore the ‘Diet Mentality‘ a little more. The ‘Diet Mentality’ is the part of your brain that sees things in black and white terms. You are either on or off a diet. You are either good or bad depending on your weight or how well you are sticking to your diet. And foods are either good or bad as well. You become disgusted with yourself when you go “off” your diet or eat a “bad” food. When this happens you decide that you have broken the diet anyway, so you may as well eat anything that you like. And then you feel even worse, driven into a cycle of unrealistic expectations, broken promises and failure. Not healthy, and a very vicious cycle to break away from! But there is hope! The alternative to the Diet Mentality is the conscious creation of a healthy relationship with food. It means that you no longer see things as black and white, good and bad. It means that you commit to make attitudinal and behavioural changes that support creating the new you. The first step in changing your attitude in order to achieve long-term success is to “make friends with food”. It means that you understand that food is nourishment and necessary for survival. It requires acknowledging that it is okay to ENJOY preparing and eating food. It means empowerment. It means recognising that your relationship with food is a series of CHOICES that can lead you to the outcome you desire. It means that you can give up short-term satisfaction in order to obtain long-term goals. This is also helped by allowing some flexibility with the 70/30 rule. It is IMPOSSIBLE to set yourself unrealistic, rigid rules to follow for life. You need a social life, attend weddings and dinners and not feel deprived with food and drink. Nor inflict your ‘rigid’ views on your diet on your hosts. So make your personal choices around food for 70% of the time, allowing yourself the flexibility to eat as well as you can in any social situation 30% of the time. And if you can do 80/20, even better! This is the ‘Freedom from Diet Mentality’. How much better do you feel now? Now there is a lot less stress around what you put into your mouth. 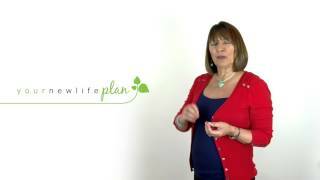 YourNewLifePlan is designed to be both educational and supportive. Throughout the 4 weeks of the programme you will receive free eBooks addressing different aspects of nutrition, lifestyle and health, to empower you when making choices. A powerful coaching programme will ensure you have the tools required to help change your mindset, to truly focus on achieving your personal goals and a motivational exercise regime to make you feel even better. All with the purpose of breaking the Diet Mentality!